For those still convinced that the eschatological heresies of the Book of Apocalypse or "Revelation" is beneficial to their salvation, consider reading the Esdras or Ezra Apocalypse. These books are the real ending of the Bible. By the late 1700's, the Masonic Vatican hierarchy had deleted the ending of all Catholic Bibles, which effectively made John's Apocalypse the end of the Bible to those who read only the newer versions. 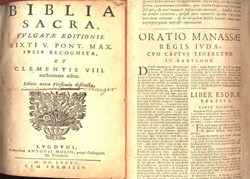 These were the books which were a crtitical part of every Catholic Latin Bible from the years 380-1800. This was and still is the real ending to the Jewish Bible. If this was in print today, those who get excited over the teachings of their Masonic end-times pastors would see what their end-times religion is really going to purchase for them: a destroyed world licking its wounds in Apocalyptic darkness as it tries to find the keys to Heaven which they had lost. * The Old English version comes from the dangerous 1582/1610 Douai Rheims translation of the Jewish Scriptures. Owning or distributing a copy of the first Catholic translation into English would have purchased you a life sentence or death for treason in England, up until the year 1800. The entire book has been scanned, making it the only original Douai Rheims translation available for viewing or downloading on the internet in 2013. * The Latin Vulgate version comes from a 1685 Catholic Latin Vulgate which comes originally from France, but was purchased from Brazil. 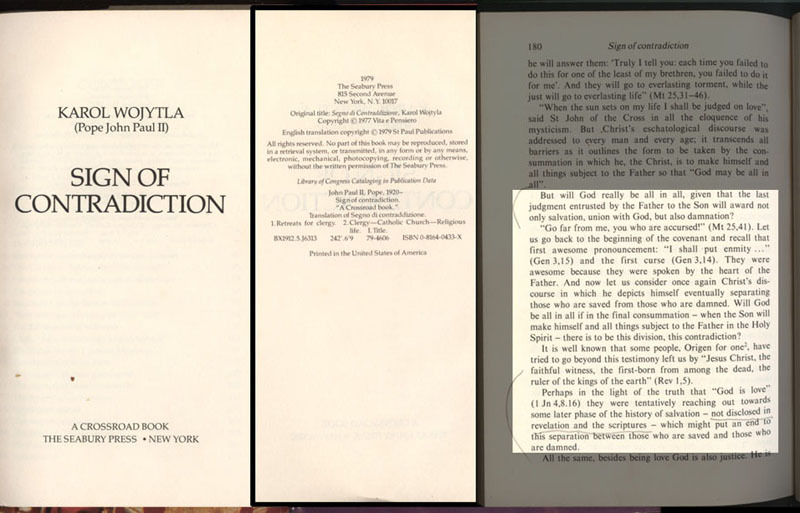 The entire book has been scanned, making it the first Catholic Latin Vulgate available for viewing or downloading on the internet in 2013. 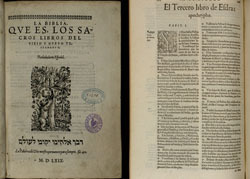 * The Spanish version comes from a 1569 Spanish translation of the Jewish Scriptures and is the work of Mr. H. from Guatamala. The original scans can be found on the following website: rosariofatima.wordpress.com. “keep the meat” and give us “milk to drink,” to keep the public from knowing these secrets. 1542: Esdras Apocalypse removed by Masonic Pius V from the Latin Vulgate at Trent. 1582: Esdras Apocalypse included in the 1st Edition Douai-Rheims in English. The English D-R Bible is banned from England. Anyone caught owning or distributing is tried for treason by the Masonic English Government. 1577-1603: Hundreds of Douai-Rheims priests are brutally martyred over this translation by Masonic Queen Elizabeth. 1592: Esdras Apocalypse put back into the Latin Vulgate by Clement VIII “Lest they should perish” was the reason given by Clement VIII. 1800: The ban on the English D-R is lifted, it is no longer treasonous to own or distribute. Most copies have been removed from existence. 1816: Pius VIII announces that they are keeping “the meat” of Sacred Scripture, giving us “little ones” milk to drink. The Esdras Apocalypse is gone again. Today: A Universal End-Times religion is flourishing, led by the Vatican, because the consequence of this “Revelation” of the Jewish Jesus “Second Coming” is removed from history. It is interesting that the Mormon Temple is awaiting these books. Well, they're back in circulation. 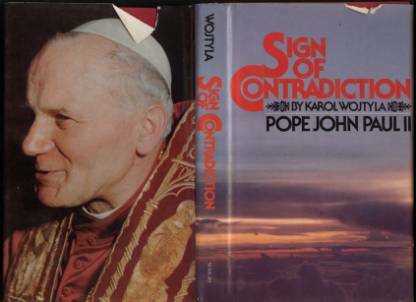 Here is a cryptic remark by Anti-Pope John Paul II when he was known as “Cardinal” Karol Wojtyla from his book “Sign of Contradiction” in 1979. In 1979, this “later history” was missing from Catholic Bibles for about 200 years, so only a few historians would have owned a copy. Burying these texts go hand in hand with the promotion of the coming "Lord Jesus" by Freemasonic ministers for the purpose of tricking as many human beings as possible into expecting, then bowing down to the Jewish Messiah. If priests knew the consequence of fulfilling the Apocalypse and tricking everyone into welcoming the “Lord Jesus of the root and stock of David and of the bright morning star,” perhaps they wouldn’t be both following and teaching the wrong answer to Judgment Day. Anti-Pope John Paul II of course knows these things, he had access to these old books, but most don’t. But thanks to the efforts of a few historians, you have the information the elite have been hiding. This is a must-read if you are a seminarian or Bible-college student..
Babylonian Talmud Vol02-029: Blatant admission of rewriting books for the benefit of the Jewish race. The Apocrypha is also known as the Esdras Apocalypse and is the “real” ending of the Bible. 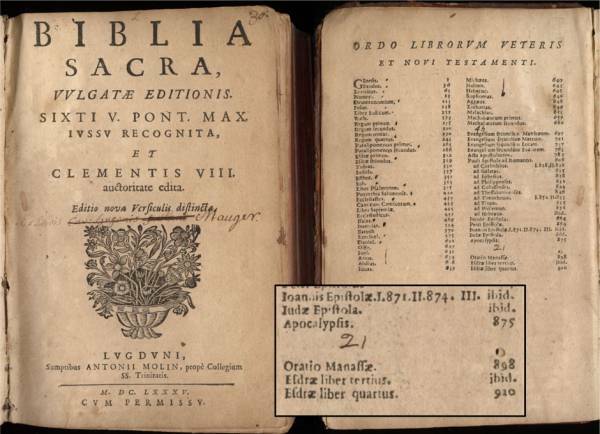 The name “Apocrypha” specifically refers to the missing 3rd and 4th Books of Esdras that were in all Catholic Bibles until a few hundred years ago. The Fátima Movement has these texts in both the 1610 Rheims English version and the Latin version from 1685. “What happened in the unseen labyrinth to which the pneumatic tubes led, he did not know in detail, but he did know in general terms. As soon as all the corrections which happened to be necessary in any particular number of The Times had been assembled and collated, that number would be reprinted, the original copy destroyed, and the corrected copy placed on the files in its stead. 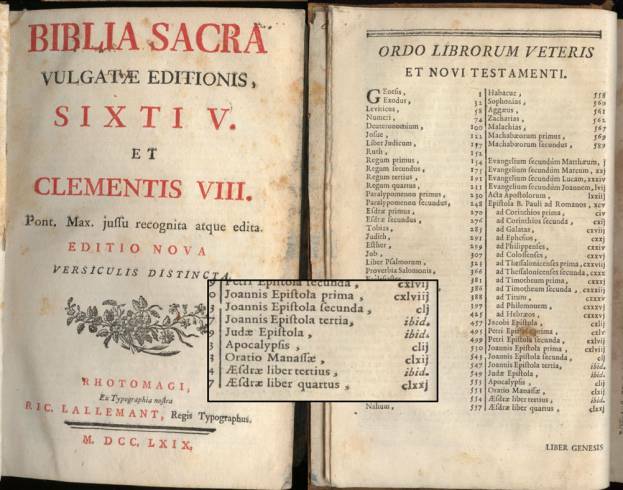 The following are the table of contents for two Clementine Latin Vulgates, which show the placement of the 3rd and 4th Books of Esdras after the Apocalypse in their table of contents. It is important to point out that Pius V removed these books in the 1540’s after changing the Mass and introducing the Lord’s Prayer (Our Father) beads to the 150 straight beaded Rosary. Pius V’s decision was retracted and these final books of the bible were put back in by Pope Clement VIII in 1592, hence the name Clementine Biblia Sacra, but were suppressed again by the year 1800. Since Popes are not supposed to contradict each other, it should raise a red flag to those studying the history of heresy and Masonic revisionism. Clement VIII’s reasoning behind returning the Ezra or Esdras Apocalypse back into the Latin Vulgate was “Lest they should perish.” Below are the tables of contents from authentic Catholic Latin Vulgates to prove their placement after John's Apocalypse or "Revelation" in modern copies. 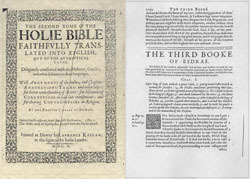 Above: the Table of Contents from a 1685 from the Canonical “To settle all disputes (Trent)” Latin Vulgate Biblia Sacra, which shows the existence and placement of the Esdras Apocalypse at the end of the Bible, coming after John's Apocalypse or "Book of Revelation" which today is the accepted "ending of the Bible" in all modern texts. Above: the Table of Contents from a 1769 from the Canonical “To settle all disputes (Trent)” Latin Vulgate Biblia Sacra which shows the existence and placement of the Esdras Apocalypse at the end of older Bibles, coming after John's Apocalypse or "Book of Revelation," which today is the accepted "ending of the Bible."